Hockey Plumber: Ok, Not Yet! Well it seems that we may have jumped the gun a bit. Evidently, the NHL's announcement today regarding the Winter Classic was that you can sign up for email *information alerts. You know what happens when one assumes... *INFORMATION INCLUDES - EVENT, MERCHANDISE AND OTHER PROMOTIONAL ACTIVITIES AND OFFERS. However, we were informed that the Winter Classic Ticket Drawing Registration opens September 15 at 12 noon ET to the general public. Lloyd: ...What are my chances? Think negatively and negative things will happen. 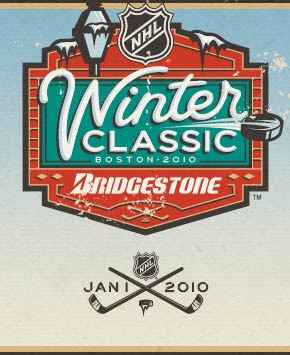 I, on the other hand, am thinking positively about securing Winter Classic tickets....but I'm not talking about how much.